These are bizarre photos, but they almost remind me of something you would see in a pretentious modern art museum. You know the ones where there is literally a canvas painted black and people stare at it for 30 minutes pondering the meaning of life? 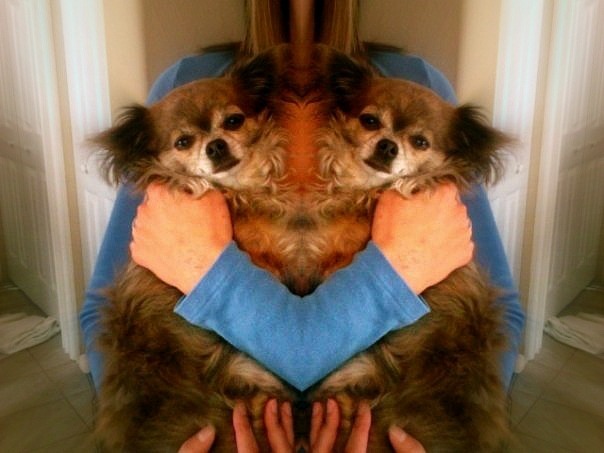 Well, I present to you my two-headed chihuahua. He is beautifully frightening. Haha yeah it kind of is! The good news is that he is a VERY handsome pup when he has a haircut. He just looks like yoda when he’s all furry. It’s just alittle experiment to get to know my new blogging friends. The first one with the face appearing in the fur is brilliant! My dog looks like they could be cousins! So cute. 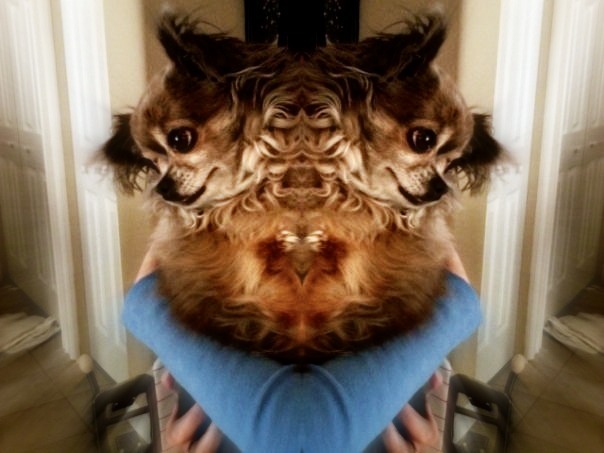 Like the pics for distorted.